With the onset of summer, men's fashion requirements change. Comfortable shorts, short-sleeve polos, light coloured shirts; all these gets included in men's summer closet. Come summer and men's fashion comes to life. Although not denying the fact that there are awesome outfits to add to a men's closet during other seasons of the year. But, cool summer outfits make a sharp dressed man look all the more smart and handsome. Casual is the style we generally associate with summer. Amongst all the easy fit clothing, cargos are ones that needs special mention. Cargos come in different fabrics and categories. 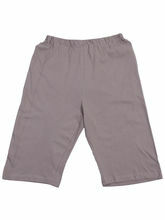 You can discover a wide range of men's shorts available in at our online store. 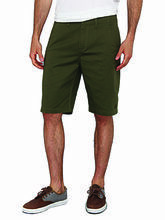 From cargo shorts to cargo jeans and not to forget cargo pants, Infibeam showcases variety of cargos for men. If you want to bring a change of clothing in your wardrobe, you can start including cargo pants in your summer collection. These light fabric pants, especially made of cotton makes you feel comfortable and cool on a sunny day. Team your light-coloured shirt with a dark coloured cargo pant to get a smart and professional look. The more sunny it gets, the more we prefer wearing casual clothes. However, if you choose to spend some time on beach to enjoy your summer vacations, cargo shorts shall serve the purpose. Put on a white T-shirt, polo or short-sleeve and pair it with grey or beige coloured cargo shorts and beat the summer blues. Cotton is king during the entire summer season. Explore shorts from Infibeam, make your best buy and enjoy wearing cotton this summer. No matter, what you wear, cotton shall always keep you cool and relaxed.